Articles and videos about farmers and ranchers with disabilities who have overcome barriers with AgrAbility's help. Determination in Motion. Originally published in Seedstock Edge magazine, this is the story of Mark Hosier and his rebound from a spinal cord injury. Gaining Ground. 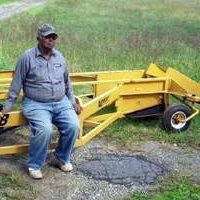 Originally published in Purdue's AgriCultures magazine, this article focuses on Mike Williams and his battle with arthritis and chronic pain. Videos of people who have been impacted by AgrAbility and their testimonials. All videos may be viewed directly via our YouTube channel.